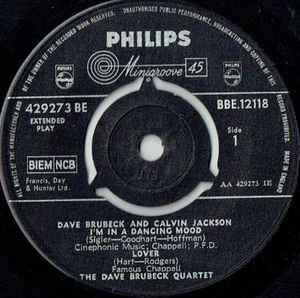 Different labels compared to The Dave Brubeck Quartet, The Calvin Jackson Quartet - Calvin Jackson | Dave Brubeck. Side A: Francis, Day & Hunter Ltd.
A1: Cinephonic Music; Chappell; P.F.D. Issued 1959/1960 (according to E/T tax code).